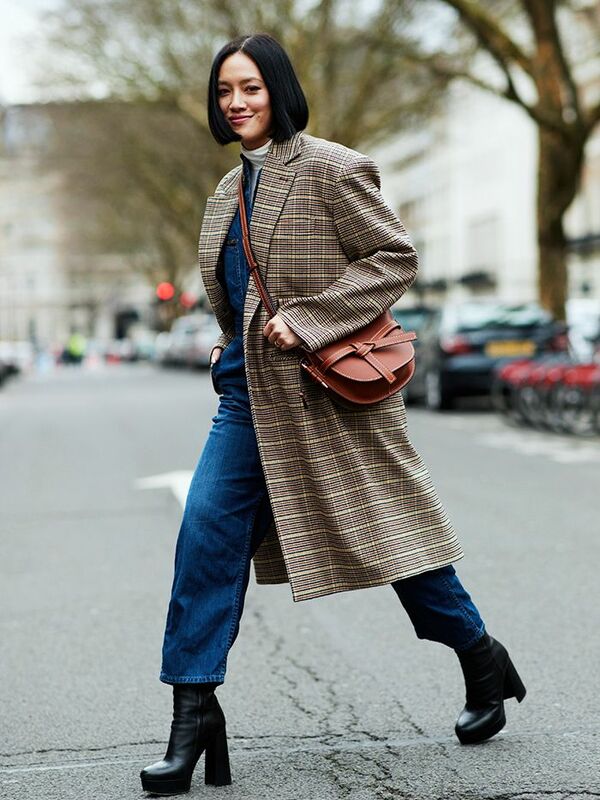 Merely glance over the best street style looks from Copenhagen Fashion Week, New York Fashion Week and London Fashion Week, and you'll notice one key trend: Everyone is wearing a checked coat of sorts. Already, it looks like this is the most popular outerwear trend for winter 2018. While the print has been on our blazers for some time, it's now all over wintry jackets. Call it the Burberry effect, after the brand resurrected its iconic checks for its S/S 18 show, but it's not just the British fashion house's colours being worn. From red and black to pink to green and every other colour in between, it appears that any version goes. It's not just reserved for designer brands, either; we're also seeing checked coats on the high street. This is all rather brilliant news as it gives us an excuse to get a brand-new winter coat. Ready to see how to style yours à la our street style favourites? Keep scrolling for our favourite looks and then shop the chicest outerwear pieces right now. Style Notes: A brown check coat is so chic over a denim jumpsuit. Style Notes: The red checked coat is more than a little eye-catching. Style Notes: This just confirms how much we love blue and brown together. Style Notes: Worn over a black hoodie and black jeans, a checked coat provides a fashion week–ready outfit. Style Notes: There's nothing we don't love about a red tartan mac, especially when paired with a lime green bumbag from our favourite new It brand, Wandler. Style Notes: It's not just about wool coats and trenches. You can find checks on puffers and faux-fur pieces of outerwear too. Style Notes: Pink checks? Yes, please. Style Notes: Even Christine Centenera ditched her trademark black coat. Style Notes: Pink checked coat for the win. Style Notes: A muted checked coat works so well with other brights. Make your grey track pants and jumper look instantly smarter with this coat. Definitely bold but so chic, no? Of course Zara has us covered. Large checks from Vivienne Westwood don't come much better than this. This is ideal for carrying on into spring 2018. Don't drown in your checks. Consider a coat that defines your waist. Burberry makes it easy to love the checks again. A subtle style going on here, but the black lines give it an interesting twist. Who says your checks have to be all over? For when it's really cold. Topshop comes through with this petite style. We love these simple checks from cult label Saks Potts. Moral of the story: Get thee a check coat ASAP.